We're always told to drink plenty of water throughout the day, but why is it so important? What are the effects on our body if we get dehydrated? It's actually far more important to stay on top of your hydration than you may have thought and if our hydration levels plummet the side effects aren't good! Water is your body's main chemical component and makes up around 60% of your body weight. Every organ and cell in your body relies on water and it's vital for flushing out toxins and carrying nutrients around your body, it's also incredibly important for energy, skin health and digestion. Throughout the day you lose a lot of water through breathing, urination and perspiration so we must replace that lost fluid in our bodies to maintain health, a happy mind and good energy levels. There are varying opinions on how much water we should drink a day, but experts say between 2.5 and 3 litres is just right (that figure goes up if you're exercising, in a hot environment, are pregnant or have an illness). I always make sure I start the day with at least 500ml of water, this not only kickstarts my metabolism and gets my digestive system going but it provides my body with a good amount of hydration that it may have lost overnight. I also find it really wakes me up, unsurprisingly really considering just 2% dehydration can reduce cognitive function by 30%! When you're tired you may often reach for the coffee but that'll just dehydrate you even further, instead opt for a large glass of water with some cleansing lemon juice or make yourself a mug of herbal tea. Do you suffer from frequent headaches? Check your fluid intake as even mild dehydration can cause horrible headaches. When you become dehydrated your brain tissue starts to lose water causing your brain to actually shrink and pull away from the skull, scary right? This triggers the pain of a headache. On top of this, dehydration reduces the flow of oxygen and blood to your brain...never a good thing! When you are dehydrated your body starts working really hard to pump oxygen and nutrients around the body - your heart has to work overtime and your blood levels decrease. This causes fatigue, confusion, dizziness and can cause feelings of depression too. Drinking water regularly throughout the day will prevent this from happening. If you're looking to lose weight dehydration could be getting in your way too. Dehydration inhibits kidney function which puts major pressure on the liver. Fat is metabolised in the liver, so when it's being demanded to do other things and being put under strain you're taking away the energy it could be using to metabolise fat. Drinking more water could increase how much fat your body burns...bet you never knew that! I have to admit I never used to drink much water and to begin with I found it quite a challenge to stay properly hydrated but now I don't struggle at all, in fact I don't even have to think about it! Try to make your drinks fun and more interesting by adding slices of lemon, berries or lime...this will make you want to drink more as it'll taste delicious and you'll be providing your body with added goodness too. Tea also contains towards your daily water intake but steer clear of any caffeine! I like to drink around 3 cups of tea a day - green tea, berry infused herbal teas and mint tea are my favourites! 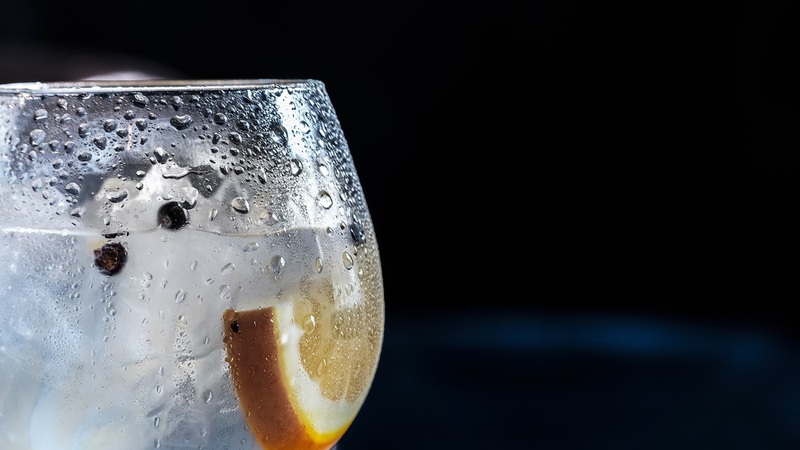 One of my other top tips is keep water with you at all time, if you have a glass of lemon water at your desk you're far more likely to drink it and if you carry a bottle of water around in your bag you'll want to drink it to get rid of excess weight! Drinking enough water is so vital to our overall health and wellbeing both physically and mentally, so make sure you're getting your 2 and a half to 3 litres a day to be the happiest, healthiest you possible.